Today I am posting my DT card for the Picture Inspiration challenge starting today over at the Cards Galore Challenge Blog . 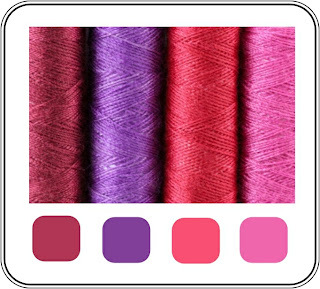 I love the rich jewel colours and I worked through a couple of cards before I got one I felt was close enough to the colour range chosen. I also opted for white as the additional colour to help push the colours out. I started with a white 15x15 cardbase, folded as a tent-fold card and sponged the centre of the cardbase with a deep pink ink, making sure to leave some area dark and others light. The canopy of hearts was die-cut from deep lilac card with a strip torn away from the bottom to allow the lighter core colour of the card to ad a little contrast. This layer was adhered to the cardbase so that the punched-out heart-shaped leaves let the inked area show through. 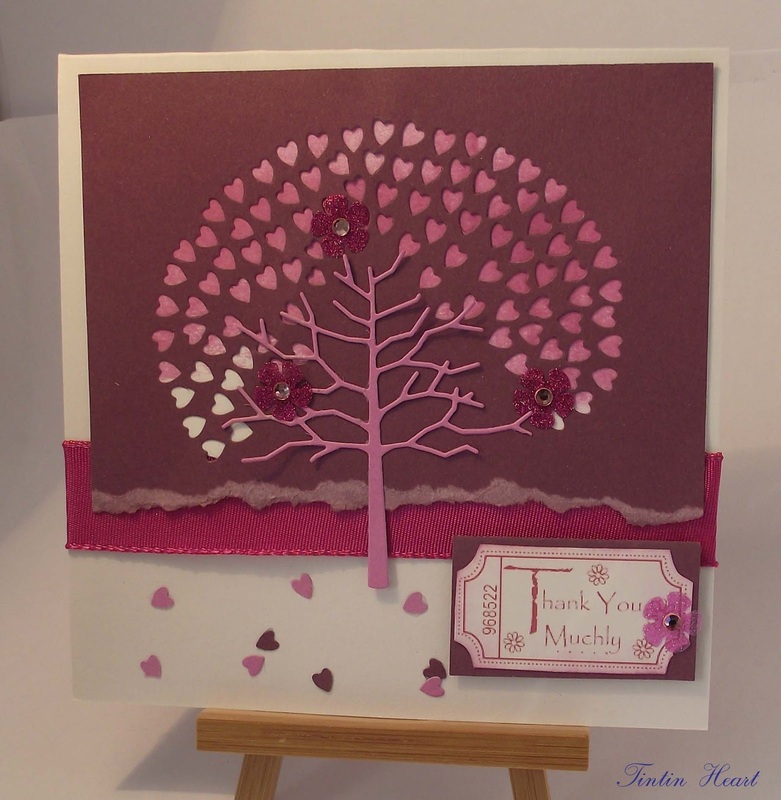 I then die cute a tree from lighter lilac card and adhered it to the lilac layer to complete the tree. I slotted the satin ribbon under the card topper and added the sentiment to the base of the card. To finish I used some of the little hearts for a fallen leaves effect and some glitter flower sitck-ons for a bit of bling! Hope you like my card and thanks for stopping by to read my blog. Your time and comments are always welcome. Don't forget to enter into the challenge with us for yourchance to win the Wellington Goodies. Cardstock- Papermania - Soothing Heather.